I had so much fun last week participating in Thinking Out Loud with Amanda at Running With Spoons that I decided I’d give it another try. I want to thank everyone for you kind comments and for taking me into the group with such warmth. It’s amazing after having taken this long hiatus from blogging that old friends and new friends have just come right back now that I’m here again. I am very grateful for that. When I started typing this, I really had no theme in mind. I suppose in the coming weeks it might be a good idea to start out with a CLUE what I might be writing about. So since I mentioned being grateful, perhaps gratitude might be a good topic. I’ve had so much to be grateful for lately. 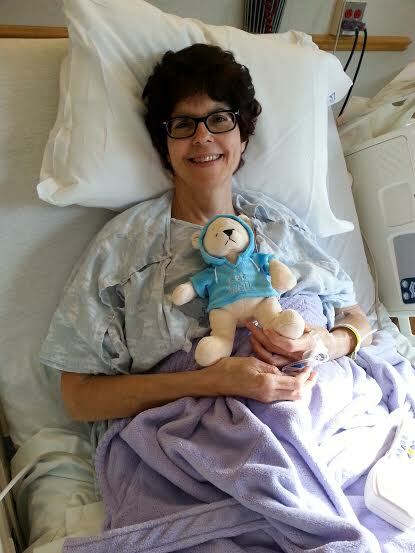 ~I am grateful for the true and absolute gift that I received in the form of my hip surgery. I promised not to talk Too much about it and I won’t but a few things have to be said. I’m sure I was suffering from this nonsense of degenerative joint disease for a long time. Basically, arthritis, but they like to give things fancy new names these days. The problem is that is was there in various joints but not so much that it had any serious adverse affect on my daily life. I was “fine” throughout the summer and fall of 2013. Lots of walking and going about my regular routines. Then the winter of 2013/2014 came around-cold and damp and unbearable. Suddenly it hit me. I couldn’t sit for long, sitting down and standing up were extremely painful, I stood most of the time because that was the least uncomfortable position. Walking any distance was difficult at best. The surgery is a gift. ~It was a bumpy journey getting to the right place for the surgery. I went to one doctor who had been recommended. He put me on medication because “we always try this first and we let the patient tell us when they’re ready for surgery.” I took the pills for a month without any relief. I went back in a month and said, I’m ready for the surgery and was told “we don’t do hip replacement surgery anymore.” What?!? I asked for a recommendation for someone who did it. I got the name and called for an appointment. This was June-I couldn’t be seen until the end of August. I took the appointment but I didn’t think I could wait that long. We had a friend who had recently had emergency foot surgery at the Rothman Institute in Philadelphia. I called for an appointment and I was scheduled for three days later. The amazing thing is that the appointment was with Dr. Rothman, head of the organization! I was amazed. ~I cannot say enough good things about Dr. Rothman, the Rothman Institute and Thomas Jefferson University Hospital where my surgery was performed. There is an entire Rothman floor there and it was wonderful. From my first appointment with Dr. Rothman, through scheduling, pre-admission testing and medical clearances there was never a single glitch. They even had excellent vegan/vegetarian food choices! The care I received was incredible and the results have been mind-boggling. At my first appointment with Dr. Rothman he showed me my x-rays. I can’t believe that the other doctor could have looked at those same x-rays and not known that I immediately needed surgery. I suppose it was all meant to be this way. That first situation didn’t work out because I was meant to find Dr. Rothman and his staff and I was meant to have these amazing results. I am so grateful for what they did for me. If any of you are in the Philadelphia/New Jersey area and need orthopedic medical care, please don’t hesitate to contact the Rothman Institute. They can work miracles. ~I am so grateful to my best friend, Gail. She spends the summer in Maine, but came back to New Jersey to open her home to me for my recuperation. She’s a nurse which is good because I was full of questions about what was going on. Her home was more conducive to recovery-all on one floor, lots of room for maneuvering my walker and a shower that you just step into instead of a tub. It was also fun to just spend time together in spite of the fact that I was trying to recover. Without question, she is the best. ~I am grateful to my sister, Ele. She came to visit me nearly every day during my recovery and especially after Gail went back to Maine. Even after I was up and around and doing well, she was there. She kept close watch on me while Ralph was away, in case I needed anything. As sisters go…I got the best! ~I am so grateful to my wonderful Ralph. He was a wreck leading up to the surgery, he was a wreck during the surgery and now 13 weeks after surgery, he is still a wreck worrying about everything I do. He’s even more of a worrier now that we’re back at our house. But I try to show him that I am careful and I am getting stronger every day so that I can do things. Eventually, he’ll see that I’m good as new and able to get back to my routines. He says he’s aged through this process. Well, I’ve aged too but I survived and so will he. He is the most wonderful man in the world though and I am grateful every day for him. This has been a lot of Thinking Out Loud and I hope I didn’t stray too far off track. I am so very grateful for this entire experience. I often refer to it as a miracle because that is what I feel it has been. I’m walking and doing things I almost never thought I’d do again. Each day gets better. It really is a gift. That’s it for me for Thinking Out Loud, don’t you think it’s enough?!?!? Be sure to check out everyone’s thoughts over at Running With Spoons. Lots of interesting things there. This entry was posted in Uncategorized and tagged 1hip2hip, gratitude, Thinking Out Loud, Twice As Hip. Bookmark the permalink. sending you hugs and a speedy recovery. Thanks, Marie! I’m doing really well! I’d love to get back into the writing group but I don’t even know where they meet anymore. Let me know would you. If not maybe we could just meet for coffee somewhere, sometime. I’d love to catch up. You’re doing So Much!! Hugs! Thanks, Charlotte! I am very lucky. I love your name, it was my Grandmother’s. Thanks for stopping by! So glad things have worked out for you! It sounds like a long road but that you’re on the mend now!! Thanks for the Welcome, Chelsea, I’m really enjoying Thinking Out Loud! As for my recovery, I think of it as a miracle and I am grateful Every Day! Thanks for stopping by! Thank you, Thank you, Amanda. Glad you liked my post. It feels good getting back to blogging. I think I missed it more than I realized. Thanks for the good vibes, we can all use those. Take care! I’m so glad that your surgery went well! I hope you have a speedy recovery and can continue to stay positive! Thanks, Lisa! I work every day to be positive and I notice that I smile a lot more now that I feel more like a human again. Thanks for stopping by! Thanks, Liz! Great to hear from you. Actually it was both hips and I’m feeling so good, I’m practically bionic! Have a great weekend! Thanks, Laura! You’re the best! Thanks, Allison, that’s very kind of you. I try to keep up a positive attitude. It’s much easier to be positive now that I’m feeling so much better. Hope your friend’s husband is on the mend. Thanks for stopping by. Wonderful post. It’s good to see you back on your feet, literally. Thanks, Meghan! I’m so lucky that I’ve made so many wonderful blog friends (blends) like you during this blogging journey. Thank you, thank you.